Q: Who is the creator of Splat Experience a Christian Performance Art Ministry and what is his background? Q: What makes this Christian Painter different? A: He is able to create a painting with very limited time, bypassing using paint brushes, instead using his bare hands to throw paint on the canvas. Q: Other than the Splat Experience, ,what have others called this amazing Christian Painter? Q: How many paintings does Marc Eckel perform in his Christian Performance Art Ministry? A: Marc now performs 10 different modern christian art paintings. 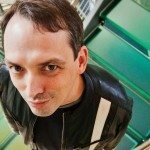 Q: How did the Splat Experience get it’s start? Molly McClelland was involved with drama at TBC. She envisioned an illustration which would come to life during the song. She approached a church member, Marc Eckel, about creating this Christian Performance Art Ministry. The combination of the music and visual aid were very well received. The first performance would become a pattern for what would become “The Sacrifice” – Splat Experience’s first presentation. Marc and his family moved to northern Indiana in 2001. 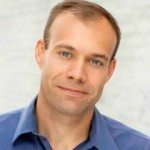 The following year, George Paiva (pastor of The First Baptist Church of Pierceton) asked Marc to be on a planning committee for their Easter services. 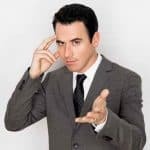 Marc offered to reproduce the performance done two years earlier for two services. On March 31, 2002, the small country church witnessed the emotional and dramatic worship presentations with an added twist. After the paintings were completed Marc raised red painted hands to symbolize the blood of Christ on the hands of all sinners. The response was overwhelming. 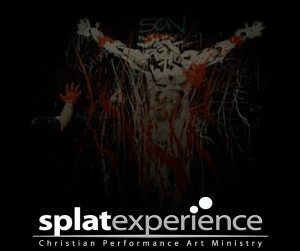 Splat Experience was established as a Christian Performance Art Ministry in late April of 2002.